Model Alanna Arrington has recently burst onto the fashion scene and her vibrant natural curls are taking the fashion world by storm. Discovered at age 16 in St. Louis, Alanna endured a traumatic back injury that left her immobile for four months before recovering her health and ambition to be a model. She has since gone on to earn international recognition and will be walking in Victoria's Secret Fashion show on November 30th, 2016. 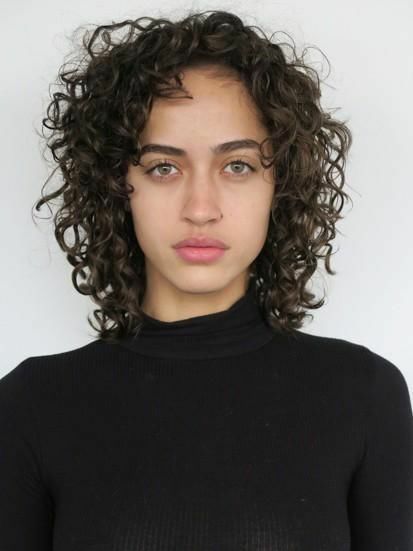 The show will be shot in Paris and Alanna will be rocking her natural curls on the catwalk. While Alanna is thrilled to be amongst the Victoria's Secret's models, some of them the highest paid in the world, her young age almost eliminated her from the show. Alanna turned 18 on November 18th, so just barely made the cutoff for participation. A Midwestern girl from Rapid Falls, Iowa, Alanna wasn't entirely sure at first that she wanted to pursue a career in modeling. Described as a “chameleon” by Mary Clarke, Alanna's mixed-race heritage and natural hair have pushed her to the forefront of the modeling world. Alanna has benefited from the new trend of stylists and designers looking to send women with natural textures and curls down the runway. She wears her hair in the “model mop” with her hairs cut into shaggy lengths to accentuate her natural texture. While she used to be self conscious about her unique looks and so embarrassed about her natural curls that she spent hours straightening it every day, Alanna has now embraced her natural texture. After receiving a life-changing hair cut at Beauty Brands in Brentwood, Alanna is now excited to embrace who she really is. Alanna hopes her experiences will help other women, especially young girls like her sister, embrace who they are and to not be ashamed of the way they look. Click here to read more of Alanna's story.